PCE Crew released their second album in September 2013. The album titled “Rewired” is quickly gaining popularity. With hit after hit, fans are already buzzing about the captivating music on this highly anticipated album. 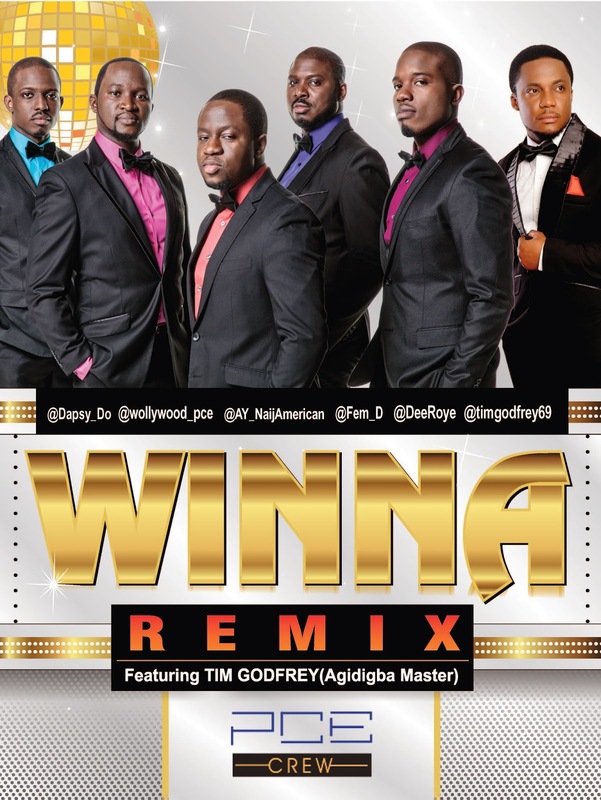 Of note is the track Winna Remix featuring Tim Godfrey; a talented gospel singer and award winning artist. We would say this is one of the best tracks on the album but all the tracks on the album are pretty great. Enjoy! For more information on the album and to listen to some of the tracks on the album, please visit PCE Crew’s website at www.pcecrew.com. The album is also available on iTunes and Google Play. PCE Crew is a leading group of Nigerian producers, singers and MCs (Fem-D, AY, Wollywood, Dapsy Do & D-Roye) based in the United States. Displaying a wide range of creativity and innovation, PCE Crew has crafted a brand new sound, while maintaining the Nigerian hip-hop flavor. Nobody was the first single off PCE Crew’s sophomore album and garnered public acclaim, quickly becoming a favorite for the young and old alike. The first album D’Comeback also featured hits like Komole, Elevate and the ballad Like an Angel. PCE Crew has shared the stage with various artists including William Murphy, Tye Tribett, Midnight Crew, Sammie Okposo to mention a few.